We are currently taking bookings for our 2019 planting season. Our planting season runs from April to November. Who can take part in our programs? Our programs are open to schools (primary, secondary and tertiary education), community groups (scouts, etc), corporate volunteers. Our programs are designed to take positive action to help our endangered species the Helmeted Honeyeater and Leadbeater’s Possum. Min 2 hours to full day. Early bookings advised. 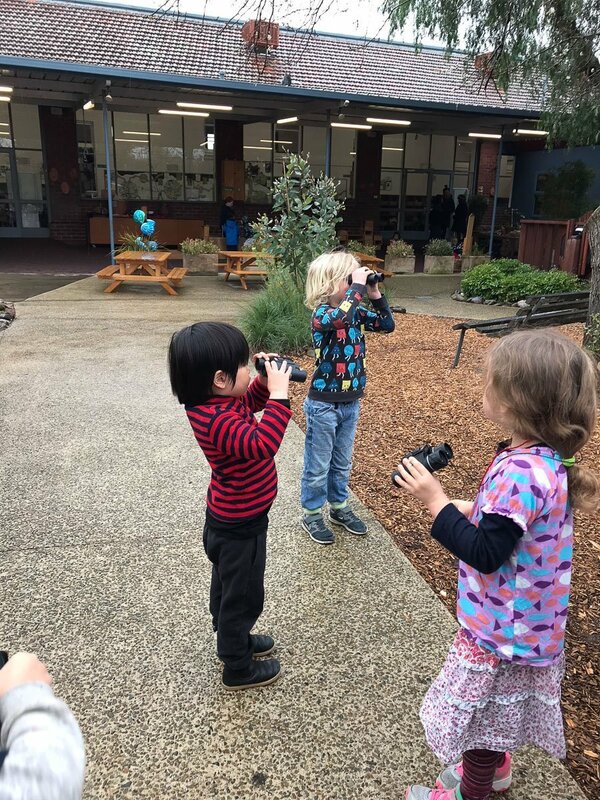 Junior citizen science activities – explore Helmeted Honeyeater habitat, binocular use, look at seeds and nests and other activities. Habitat planting (April – November). All Yellingbo excursions will commence at our Depot Shed facility, featuring bus parking, indoor/outdoor classrooms, toilets and kitchen. 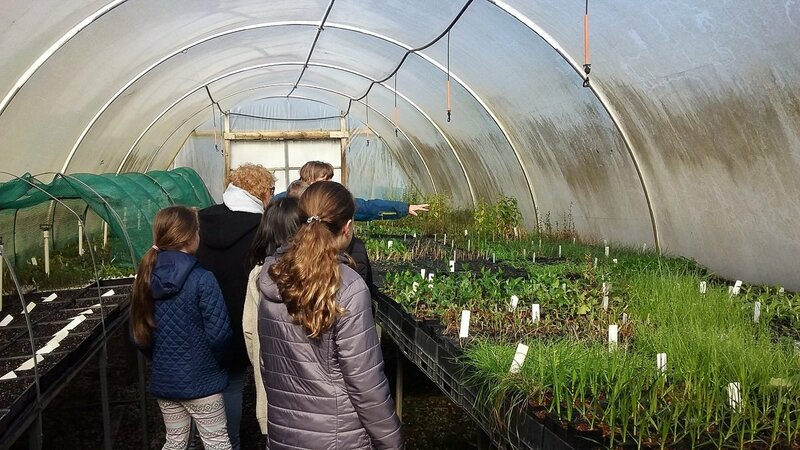 To see what kids get upto during these excursions let the kids from Berwick Lodge Primary School show you “How to plant a plant“. 45 minutes or longer at request. Opportunity for a ‘Field trip’ in school grounds to undertake junior citizen science activity – understanding nests, habitat assessment, including binocular use and data collection. Presentation and activities tailored to age group. Limited incursions available throughout school year. 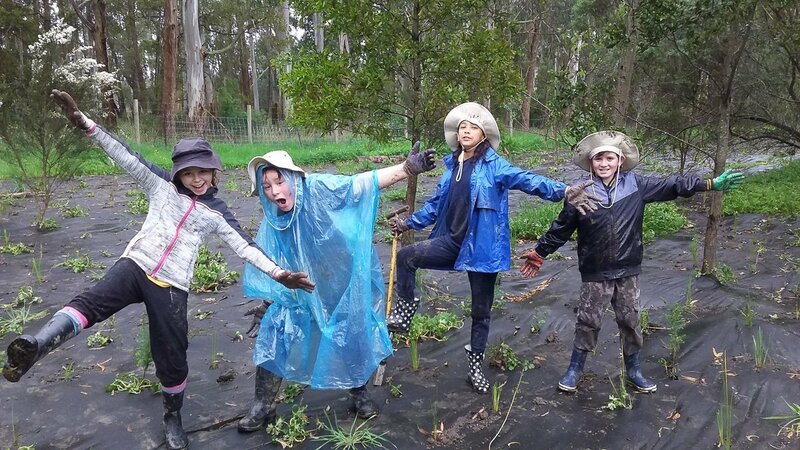 We can also offer linkages with our project partners Melbourne Water and Zoos Victoria (Love Your Locals Challenge) to expand your school’s threatened species recovery engagement. 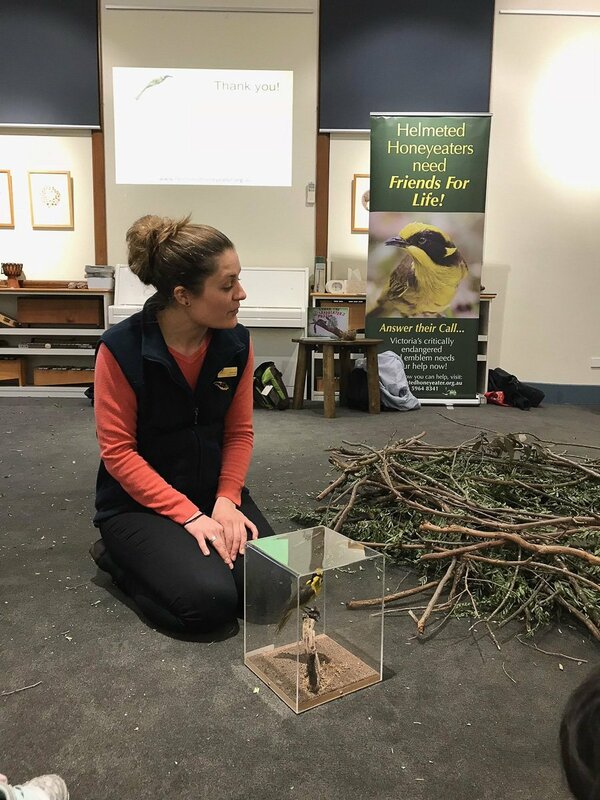 The opportunity to investigate real-life, local conservation challenges, problem solve and take part in concrete action to address issues related the Helmeted Honeyeaters and biodiversity conservation. Offering linkages to the school curriculum F-10. Science: Science Understanding & Science Inquiry skills. Can to catered to your area of interest. All programs are delivered by fully credentialed biologists and environmental educators. Our total revegetation for 2018 was 31,152 plants. This was all done with volunteer participation through schools and community groups – a massive effort! For the last 6 years the Helmeted Honeyeater population has begun making a substantial comeback with the wild population tripling over this time. Now is your chance to get involved and help turn this recovery into a boom! There is no charge for our incursions and excursion. 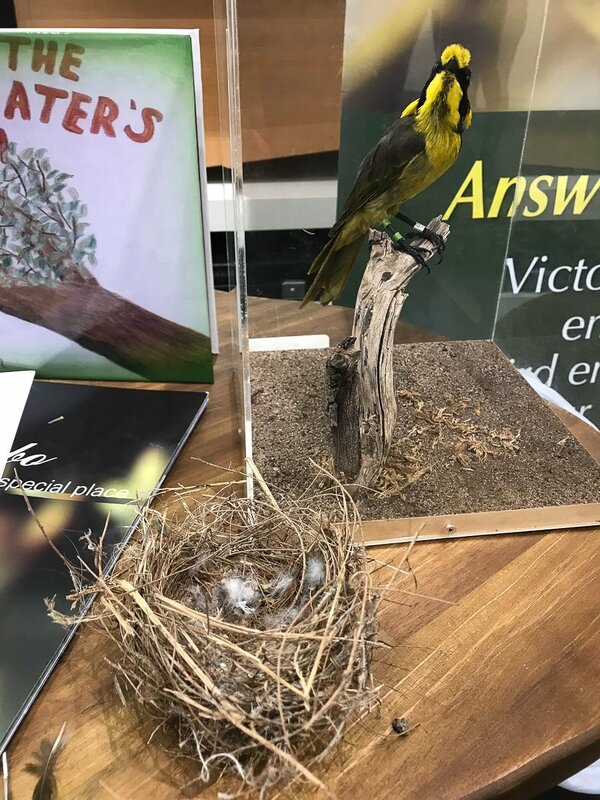 We do ask that you join our membership ($30p/a) as a positive action to assist in supporting activities run buy the Friends of the Helmeted Honeyeater. This may assist us in applying for project grants that support our education programs and revegetation projects. The Friends of the Helmeted Honeyeater make every effort to provide a safe and enjoyable environment for your students to learn in. Please notify us of any special considerations regarding students welfare and specific needs when making a booking. All participants should wear sensible outdoor clothing and gloves, and dress for the weather conditions. In wet weather gumboots are advisable. To ensure the safety of all participants, excursions to Yellingbo Nature Conservation Reserve do not operate on days of high fire risk or high winds. In the event of extreme weather conditions, the Friends will contact schools about postponing the event. We endeavor to give as much warning as possible and visits can be rescheduled. How can I find out more and book an activity?